Mrs. Barbara Jean “Mickey” Huddleston, age 67 of Hopkinsville, passed away on Saturday morning, November 24th at Centennial Medical Center in Nashville of natural causes. She was born March 12, 1951 in Christian County, Kentucky the daughter of the late Elgy and Rosella Harris Jones. 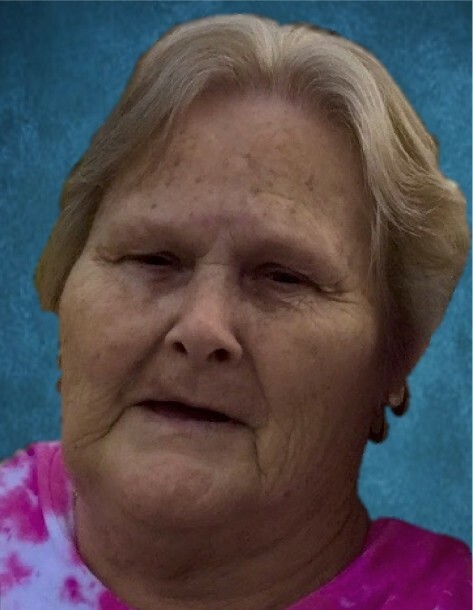 She was a member of Hillcrest Baptist Church in Hopkinsville. She loved her family and devoted her life to them. She was preceded in death by her parents as well as one son Vincent Huddleston; four brothers Bill, Junior, Cecil and Clarence Jones and one sister Joyce Kirkman. She is survived by her husband David Allen Huddleston of Hopkinsville; five sons Larry Huddleston of Portland, Oregon, Greg Huddleston, Ray Huddleston, Mark Huddleston (Amanda) and Sam Huddleston all of Hopkinsville; two daughters Missie Johnson (Jimmy) of Gracey and Dana Huddleston of Hopkinsville; three brothers Robert, Tom and Jewel Jones all of Hopkinsville; fourteen grandchildren and ten great grandchildren. Visitation with the Huddleston family will be on Tuesday from 5:00 until 8:00 and again on Wednesday from 10:00 until funeral service time at 11:00 at the New Covenant Grace Church. Funeral service is scheduled to be conducted on Wednesday at 11:00 at the New Covenant Grace Church, 524 W. 7th Street, Hopkinsville with Rev. Larry Dale Combs officiating. Interment will follow at the Green Hills Memorial Gardens in Hopkinsville.